Firstly, the L'Oreal Infallible Foundation has a new formula, the L'Oreal Infallible 24H Fresh Wear Foundation (£10.99), which is a full coverage formula and is available in 26 shades. It has an innovative oxygen technology which gives a lightweight feel even though it provides you with a full coverage. 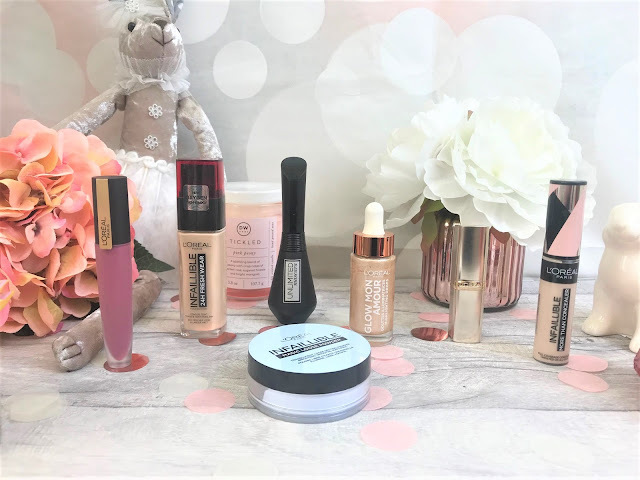 The foundation promises 24 hour wear, but I never leave my foundation on that long so I cannot speak for the full 24 hours, but this certainly lasts throughout the day for me, and I loved that it didn't transfer onto my clothing, which some foundations seem to do. I have shade 20 Ivory, and this is perfect for my light skin tone and this feels really fresh on my skin as soon as I apply it. 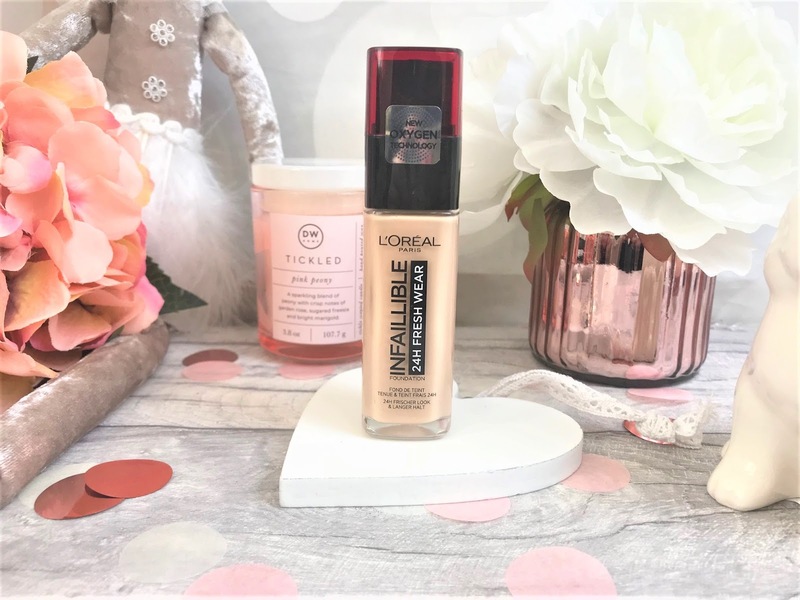 A product which I first saw in America last year, but which I struggled to get hold of over here is the L'Oreal Glow Mon Amour Highlighting Drops (£9.99), which I have here in the shade 01 Sparkling Love. 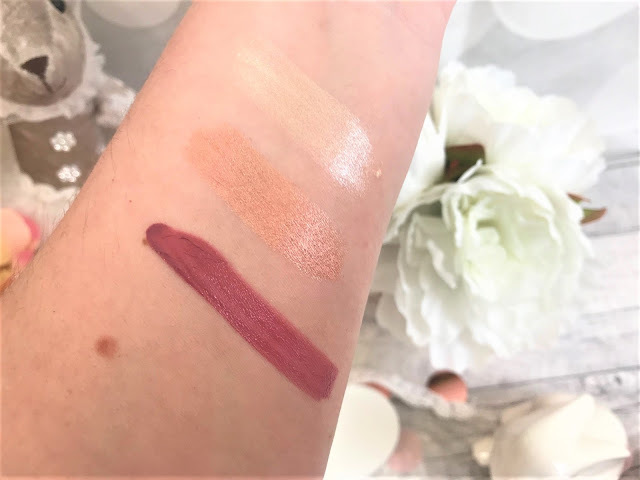 I tried mixing these in with the Fresh Wear Foundation and as they have a light champagne colour to them, it gave my skin a luminous and pretty glow to it. You get quite a large bottle and it has a glass pipette applicator making it easy to control the amount of product you are using each time. 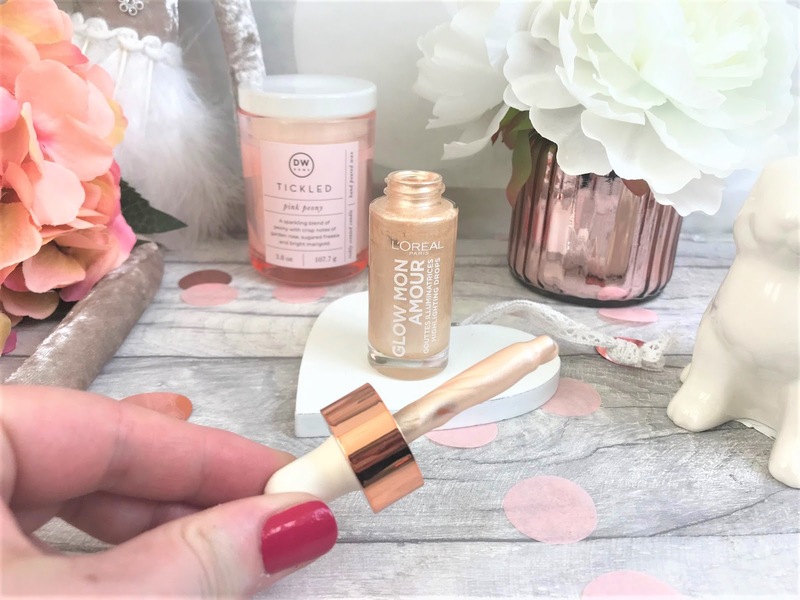 The Highlighting Drops are infused with coconut oil, which gives the skin a little nourishment and the formula glides onto the skin perfectly without being thick or gloopy, for a really pretty skin finish. Another recent addition to the Infallible range is the L'Oreal Infallible More Than Concealer (£9.99), which is available in 25 shades and can be used to brighten, correct, contour and highlight. Gotta love a multi-use product. It is a little reminiscent of the Tarte Shape Tape, but a lot cheaper. 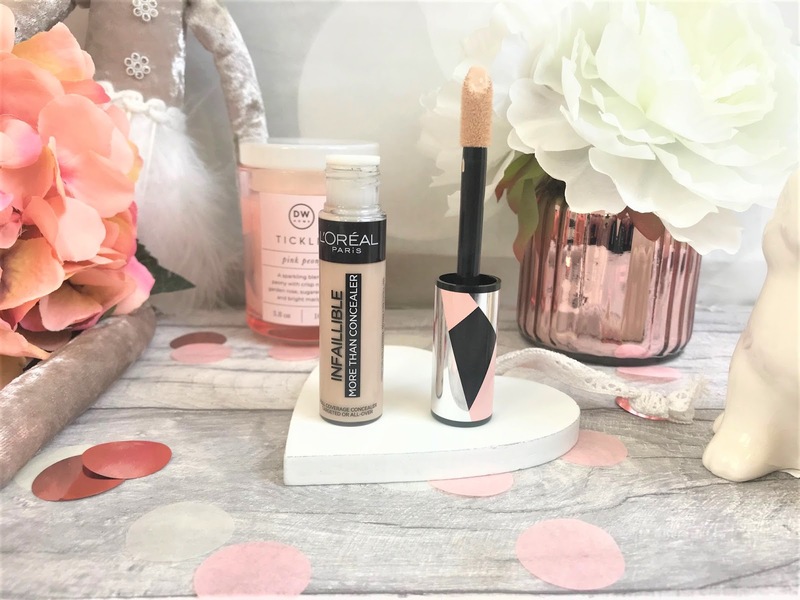 The formula is quite thick, but it blends out effortlessly, and when I used shade 322 Ivory underneath my eyes, it brightened them up immediately, and my dark circles were more or less invisible. This has a large sponge doe-foot applicator which is great for contouring, but if you are using it underneath your brows, then you may want to use a small brush to apply it with. 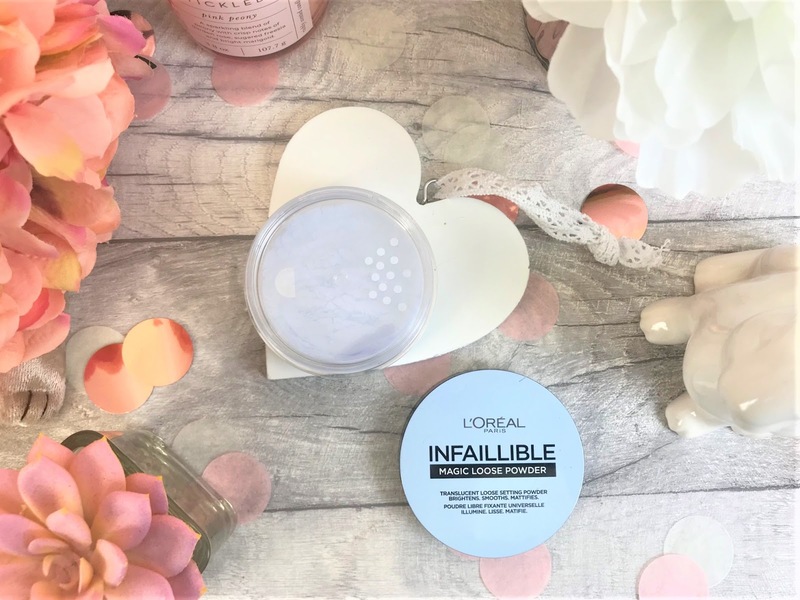 My final Infallible product is the L'Oreal Infallible Magic Loose Powder (£8.99) which comes in a pot with a twist-off lid and looks baby blue in the packaging. However, the reason for the colour is that this powder has been specially formulated with blue-toned light diffusing technology which brightens the skin, whilst keeping your makeup in place. This Powder does include talc, which means that it can be a little chalky compared to higher-end powders, but for under £10, it does the job and makes a great everyday setting powder. I love that this does give a great mattifying effect, especially on my T-Zone and regardless of the talc, it does feel velvety soft when you apply it to the skin. Moving on to eyes and I am SO impressed with the L'Oreal Unlimited Mascara (£10.99). 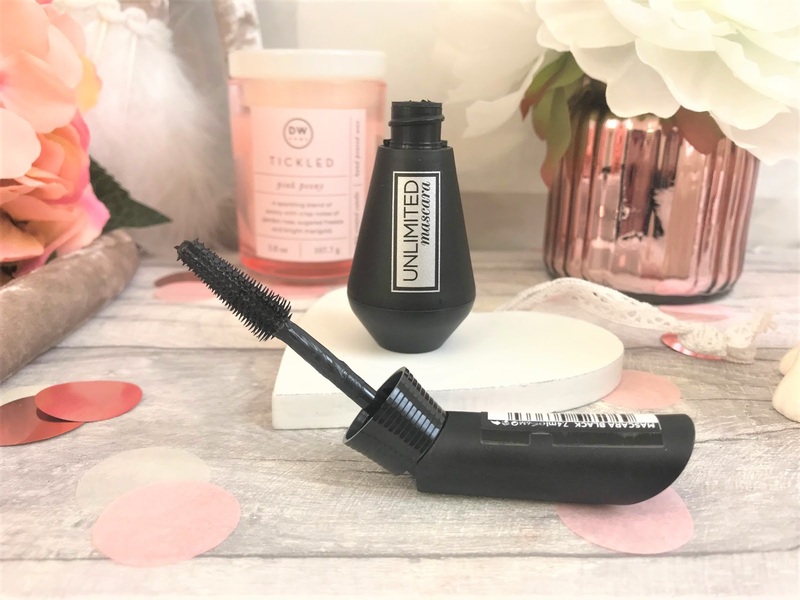 The handle of the wand is bendable, which enables you to apply the mascara to your lashes with ease and this really does coat every single lash and it especially makes my lower lashes look fabulous. For me, mascaras are often very hit and miss because my eyelashes are short, straight, fair and fine and I must admit I wasn't expecting this to do much to my lashes as so many mascaras don't, but I can say that this definitely makes such a difference to my lashes without being clumpy or flaking off later in the day. 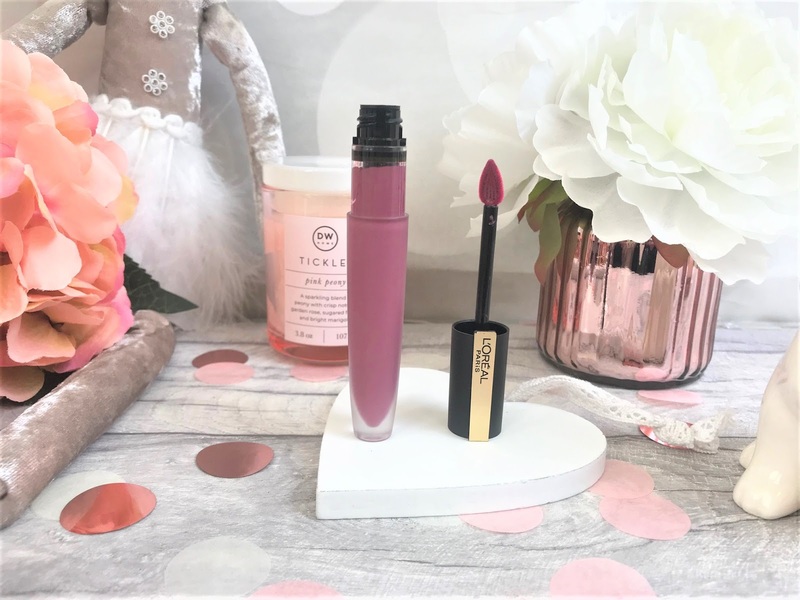 I hadn't tried any L'Oreal lip products for a while, so the first one I picked up is the L'Oreal Color Riche Satin Lipstick (£6.99) in the shade 116 Charme Dore. The lipstick itself has a slight Parma Violets scent to it which I can't say I am keen on, but the colour is really pretty. Charme Dore is a slightly metallic rose gold shade and I think this will be gorgeous with a tan, although for me personally, it isn't a shade I would wear on a daily basis to go to work etc. 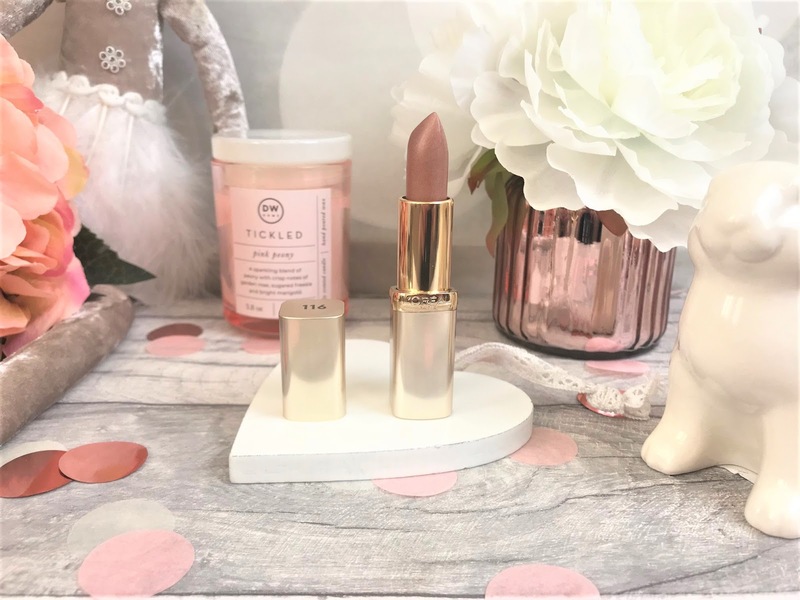 The formula is lovely and soft and doesn't feel drying on my lips, it is just the slight fragrance which puts me off a little. I finally tried the L'Oreal Rouge Signature Matte Liquid Lipstick (£9.99) in the shade 105 I Rule. There are twelve on-trend shades available, ranging from nudes to plums to pinks and the shade I Rule is a gentle mauve colour. This is without doubt one of the lightest feeling formulas I have tried in a liquid lipstick, as soon as you apply it you can barely feel it and it certainly doesn't dry out the lips, which may be due to the oil-in-water formula it has. One thing I did notice is that this has incredible staying power, and you are left with a tint on the lips which doesn't fade whatsoever. I definitely want to try a few other colours in this formula. You can find L'Oreal in-store at online at retailers such as Superdrug and Boots.